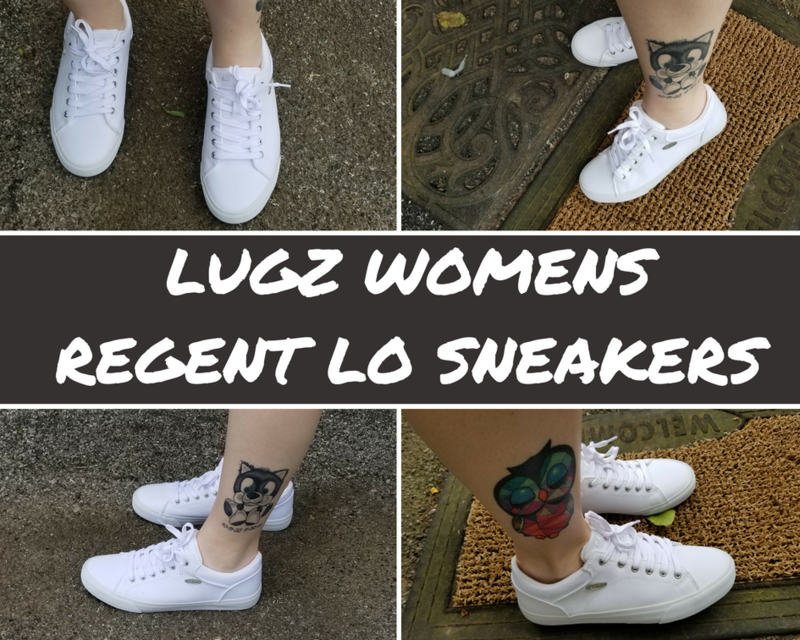 Lugz Womens Regent Lo Sneakers Review & Giveaway! 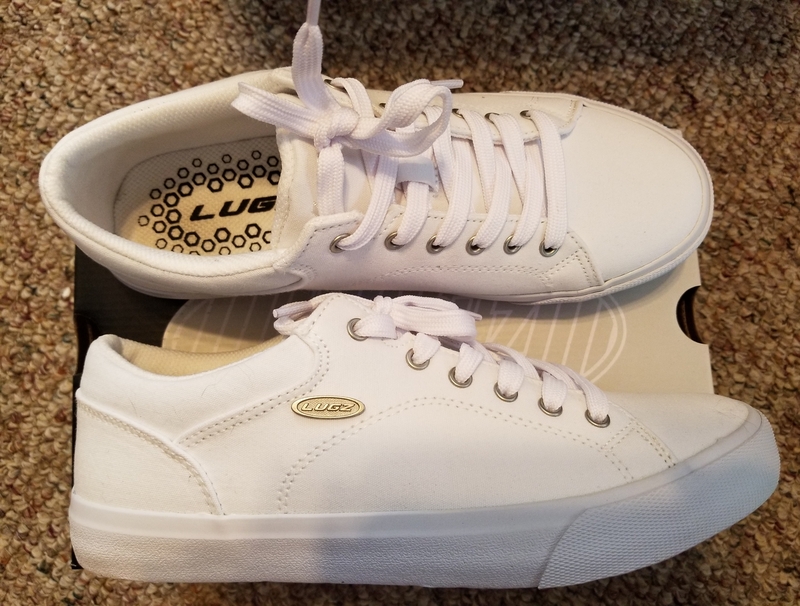 So, when I was given the chance to pick a pair of Lugz to try out, I went with Lugz Womens Regent Lo Sneaker. These sneakers come in choices of pink, blue, white, mint, and black. While they were all tempting and made it a tough decision, I went with the white since they can go with pretty much everything you decide to wear. So if you are going with shorts, capris, jeans, or even yoga pants, these will work perfect! The only downside of white sneakers, it has been raining a lot, so I have not been able to wear them as much as I like. When first putting on my Regent Lo Sneakers I could tell they were quite comfortable right away. I have had the chance to wear these a few times so far and my mind has stayed the same…comfortable! This sneaker features vulcanized construction, padded collar, cushioned insole and a durable rubber outsole, which help with that comfort of course. When it comes to the quality of Lugz, I do not think it has changed much over the years…they hold up well and seem to last a long time. I know I just got these, but the quality seems to be just as good so far! 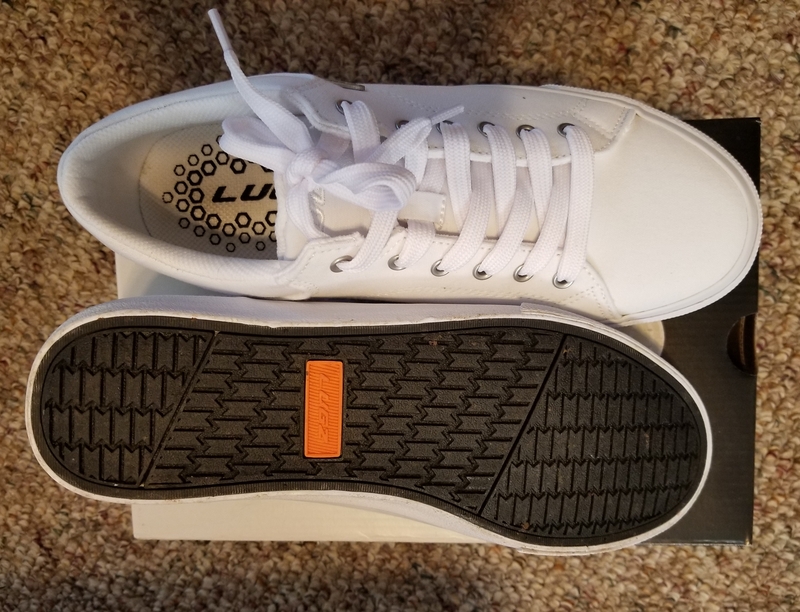 My overall opinion…I am a fan of Lugz Womens Regent Lo Sneakers based on the looks and comfort! Now one of you gets the chance to win a pair for yourself and hopefully love them also! You get to pick your size and color of choice. I like the Women’s Empire HI Black Cherry. My favorite lugz are the regent lo in sky blue! My favorite item from Lugz is the Drifter LX Raspberry. I like the “WOMEN’S DRIFTER FLEECE LX”. I like Women’s Drifter Fleece LX in Black. 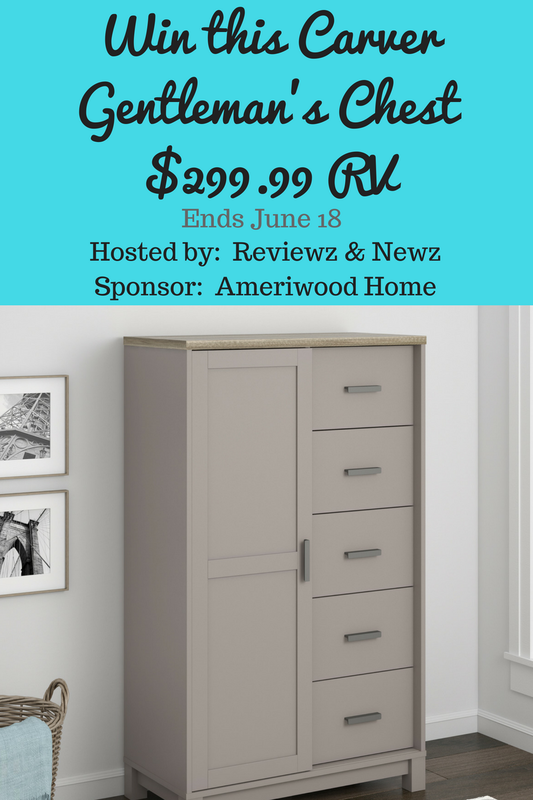 I really like the Regent Lo in Minty! Pretty color. My favorite item is the Theta boot in dark brown/brown/gum. I like the CHANGEOVER II. I actually like the Regent Lo Sneakers best. The Drifter LX would be the one I like second best. I love the Drifter Ripstops in red and white! I love the Regent Lo sneakers in pink. They are so adorable! I like the Regent Lo in Minty. The Drifter Lo Ballistic Black is my favorite. I love the WOMEN’S EMPIRE HI FUR.